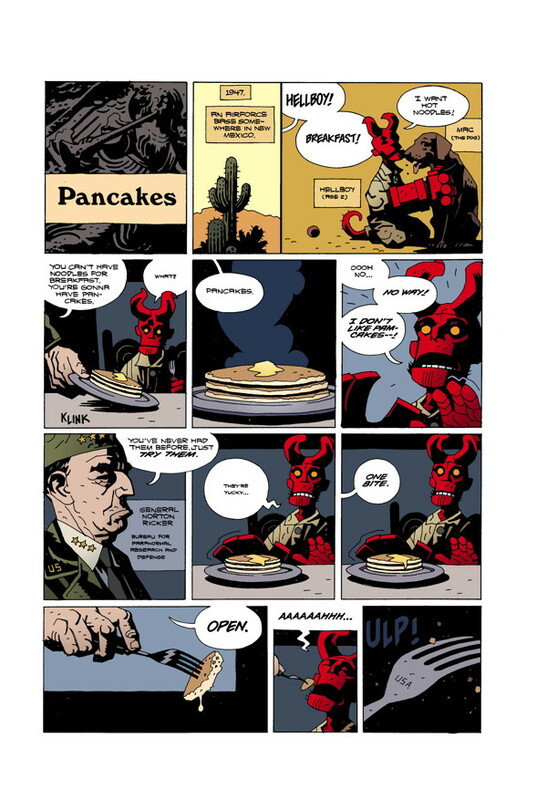 Eisner and Harvey Award-winning cartoonist Mike Mignola releases his fourth Hellboy collection. Stories formerly available only in black and white are presented here in color for the first time. A new story, "King Volmer," is printed here for the first time. On top of all this, Mignola shares his sketchbooks for the first time, showing readers the genesis of his personal take on the lords of Hell and other creatures. "The best horror comic in a generation. This Mignola guy is a wizard"
beautiful art, wonderful prose, and an ever expanding universe of weird and fun characters to explore, a must buy. 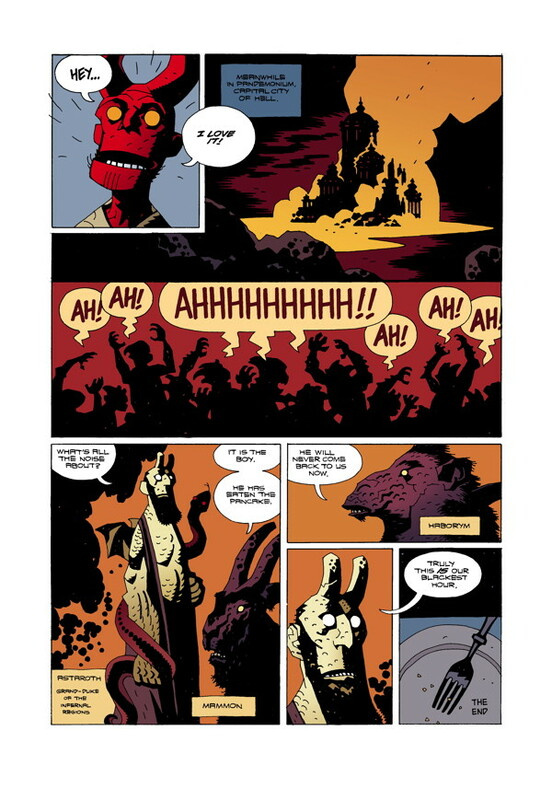 Yet again, Mike Mignola gives another great batch of stories that are funny, scary, and overall just awesome. This is where you learn the secret behind Hellboy's right arm. Two stories explain the meaning of the Right Hand of Doom and what it is capable of. 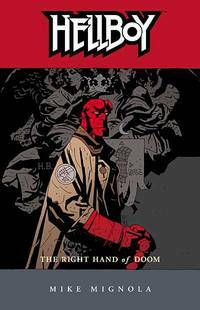 Another good Hellboy story collection with great art and great writing. 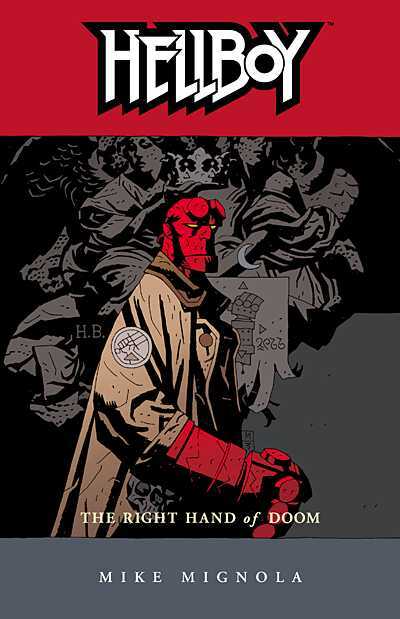 One of the best Hellboy TPBs, all time favourite. Highly Recommended! Your site is HOT!! Gas Giants!! LOGOS!! Legal Notice: Entire contents trademarked (® or TM) and copyrighted (©) 1986-2019 by Things From Another World, Inc. and respective copyright and trademark holders. All rights reserved. Page rendered at 2019-04-19 07:53:09 in 0.306 seconds.